The era of the beard is here, and it is here to stay. Spotted on structured business types and plaid-wearing hipsters alike, beards are fashionable on all types of men and can enhance any look. Whether you’re just starting to pick up the trend and grow out facial hair, or you’re far along on the journey, beard balm could be the secret weapon you’ve been waiting for. When you break it all down and strip away all the unknown confusion around this mystical balm, it’s an incredibly simple product to understand and use. Essentially, the balm is a type of pomade for your facial hair. One of the most popular beard care products for good reason, a balm is typically comprised of a variety of waxes and oils that are designed to support different types of facial hair. Using the soft putty on your mane works twofold, both allowing you to gently guide your hair into the places you desire for optimal aesthetic appeal while also locking in loads of moisture and functioning as a leave-in conditioner of sorts. 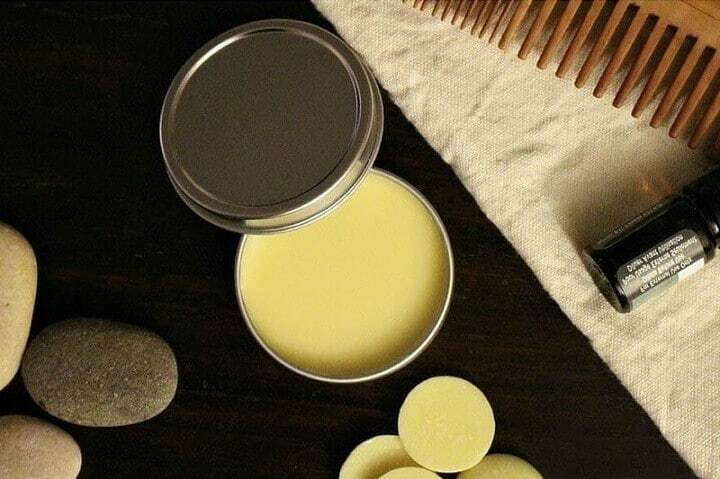 A high-quality balm is incredibly useful and typically is included as part of the best beard grooming kits on the market, alongside sharp and durable trimming scissors. So, before you jump on the next kit you see, check to make sure a high-quality balm is part of the deal. When it comes to products you regularly use on your body – especially your facial skin and hair – it is always better to opt for all-natural. The balm is no exception. The majority of high-quality balms that are actually worth your hard-earned cash are made with organic materials and natural ingredients, so it’s easy to weed out low-grade products from the start by skimming through the listed breakdown of what’s in a product. Great, so you know to opt for “natural” products. Now what? There are many different types of balms with a diverse array of benefits for different hair types and styles. But a few common ingredients are used widely, as they are great building blocks to make a killer balm. Carrier oils such as argan, jojoba, and grapeseed are relatively light oils that not only nourish your hair but also hydrate and protect the skin below it. Many products contain shea or cocoa butter, giving balms a creamy texture that’s appealing to the touch and also easy to apply. Great for deep moisturizing and conditioning. This is where brands can really design products with specific care needs in mind. In addition to their amazingly fresh scents, many essential oils – such as bergamot – have antibacterial and antiseptic properties. Others, like peppermint oil, are incredibly stimulating and cooling for the skin. A wax, usually beeswax, gives hold to hair and locks in all the moisture. When used in balms, the ratio of wax to other ingredients is much less than if you seek out wax alone for shaping, but it does give added structure that allows you to groom and style to your liking. The benefits of these products are many. Depending on what added essential oils are included in a specific tin, the results may be different for everyone. But a few benefits are universal when it comes to facial hair balms. They make great beard softeners. As facial hair grows, it can easily become brittle and unruly if not well-maintained. The line between a gorgeous, full mane and a scratchy bird’s nest is thin, and if you’re not adamant about beard care, things can go south quickly. Balms can help keep your hair feeling soft and looking full. They genuinely improve the health of your skin and hair, not just how it all looks. Because these products all packed with powerhouse essential oils and often handcrafted with specific types of skin and hair in mind, they provide excellent nutrients and moisture to the skin hiding under your hair. Regardless of your skin type – oily, dry, or combination – there is a balm that’s right for you. They can help prevent split ends. Even if you’re using the best beard shaver, split ends can appear as your hair grows. The rich oils in balms can help keep nutrients and moisture locked into the hair and prolong the life of your beard. They can cure and help prevent beardruff. Yup, you heard that right. Beardruff is dandruff that forms under a beard, and it’s an issue many people face. The nourishing and deeply hydrating properties of these products can help stop beardruff in its tracks and protect you from future flakiness. They give you the ability to style your whiskers and look your best, with little to no effort. 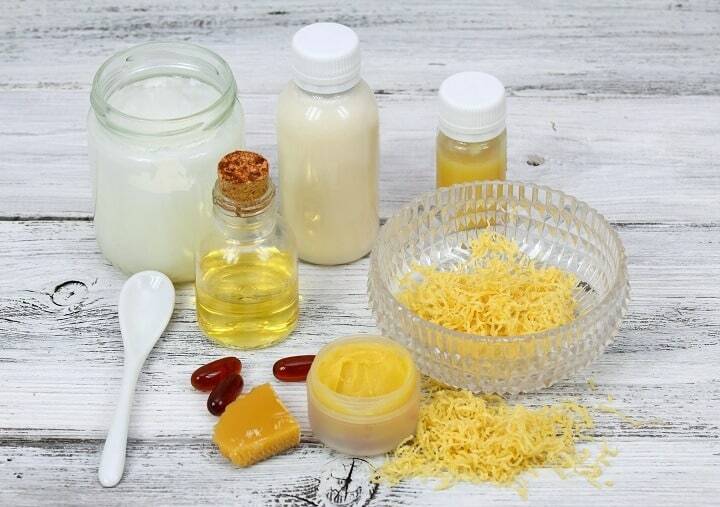 There are many folks out there who want to use these products but don’t have all the know-how to seek out high-quality ingredients that will work best for their specific skin and hair. When trying to decide where to buy a balm for your beard, it’s helpful to know what signs to look for that show a product is worth the investment. The number one thing to keep in mind when shopping for a great balm is that synthetic ingredients are a no-go. Just like you need to be wary of the artificial ingredients you consume through food and drinks, you should remain conscious of fillers in ingredient lists for hair and skin products as well. Look for a product that boasts a long-lasting effect and has the reviews to back up that claim. No one wants their mane to become unruly part way through a busy day. Additionally, don’t let yourself be fooled by scent alone. Just because a product smells delicious doesn’t mean it is high-quality, and some of the best beard balms are only scented mildly or not at all. Now that you have a better understanding of what beard balm is, it’s important to know what it isn’t. And it most definitely is not the same thing as beard oil. Commonly confused, balm and oil are two different products that serve different purposes. And while there are hundreds of products out there and the best beard oils reviewed by experts, they are a relatively simple product. In essence, beard oil is specifically crafted to match the natural oils that your body already produces. Typically, a combination of different nutrient-dense oils such as jojoba or argan oil, these products provide the hair follicles with maximum moisture and are considered an essential tool when growing out facial hair. Do You Need Balm and Oil? Unlike balm, oils do not play a major role in styling, but they do set beards up for success and keep them looking full and healthy. Because of this symbiotic relationship, many people opt to use both oils and balms as a way to keep their beard healthy while also expertly styled. You don’t need both, but depending on your beard goals, the combination can take things to the next level. 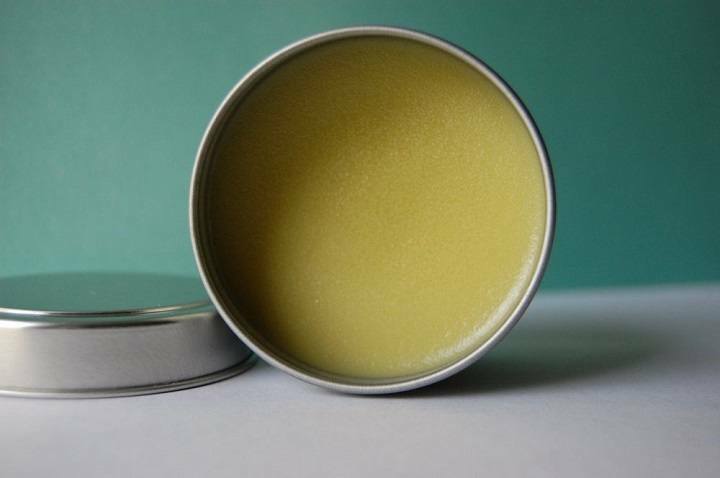 On average, a 1oz tin of balm will last upwards of a month if used regularly. It depends on your beard length, if you have a short beard, your tin will last longer and vice versa for long beards. So, when you think about how much bang you’re getting for your buck, beard balms truly are a great investment as you become your best-bearded self. When it comes to health and beauty supplies, there will always be a battle between the DIYers and those who buy products ready to use. Ultimately, there is nothing wrong with either of the options, as long as the end result is improving the health of your skin and hair. Nowadays, there are so many amazing products available in stores that are handmade and have high-quality ingredients. While these may cost slightly more than it would to make your own products, the convenience may be worth the extra few bucks. 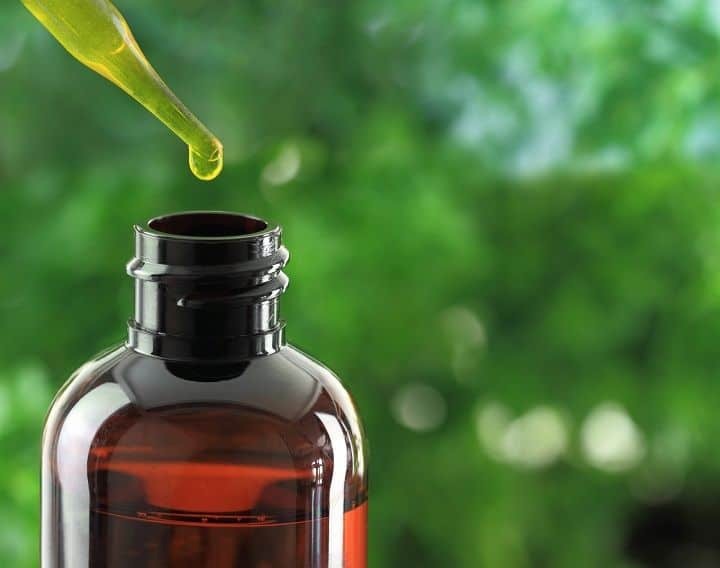 On the other hand, if you have specific needs that a certain combination of essential oils could meet, then making your own products could be extremely fulfilling and worthwhile. Regardless of what you choose, as long as the ingredients are natural and the product is working for you, there is no wrong answer. 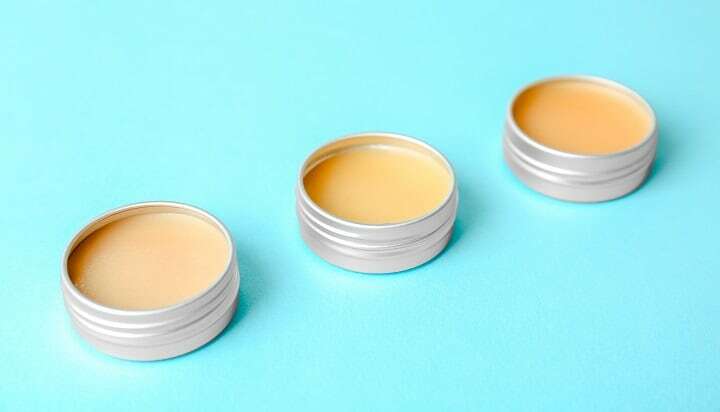 If you’re feeling crafty, check out this guide on how to make a beard balm DIY and see for yourself which you prefer. Just like your head hair, you shouldn’t wash your beard every day. But when you do, make sure to wash your beard with the best beard shampoo or the best beard bar soap available. This sets you up for a great grooming experience once you’re ready to apply your balm. It’s best to apply balm when your skin and hair are warm and damp, such as after a shower, for optimal absorption. Take approximately a dime-sized amount of balm and rub it between your palms until it melts. Massage the melted product into your hair using a downward motion, beginning at the cheeks. Start the process at the root of the hairs and work out to the tips for the best results and an even coating. Then, using a top-rated beard comb or brush, sculpt the mane into the desired style and tame any flyaways. If you have a long beard, a comb will work best. For shorter hair, try a brush for beard and mustache. 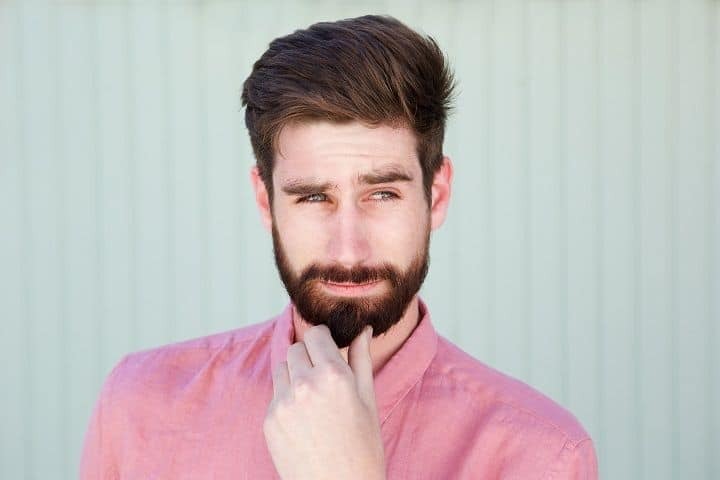 Check out some awesome beard shaping tips to take your look to the next level. Every man’s beard is unique, so some balms that work on your friends’ mane won’t have the same effect for you. We know that the search for an ideal balm for your facial hair can be daunting and exhausting. It requires a lot of time, patience and experimentation, all things for which you may not have enough time or money. Beard growth, health, care and style combined in one! Whether you want to boost your facial hair’s growth and thickness or style it in the desired way BEARDOHOLIC leave-in conditioner and beard balm for men gots you covered. Stay at the top of your beard game and draw both women and men looks in any room you step in with your neat, smooth and tangles free facial mane. A little goes a long way, so one 2 oz tin will last you for many months. Our beard balm is the best gift you can give to your father, brother or that special bearded guy in your life. This is the only one you’ll ever need. 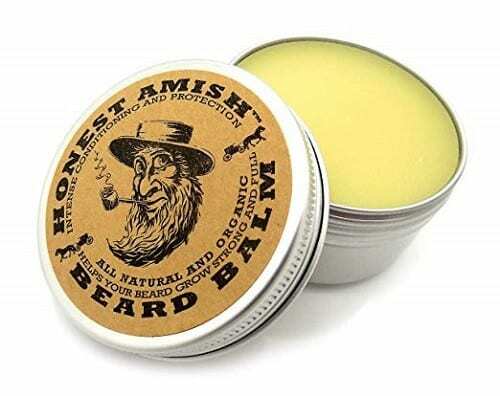 The process of making the Honest Amish Beard Balm starts by infusing the proprietary blend of hair strengthening botanicals in a base of virgin argan and pumpkin seed, avocado, almond and apricot kernel oils. After that, the nut butters such as shea, aloe, cocoa, and others are added to the mix, along with the essential oils. This means that the product is not for men with nut allergies and they shouldn’t use it at all. Something that you will never encounter in this balm are chemicals, preservatives, fake fragrances and colorants. Benefits that the product crafted this way brings are the softer beard that doesn’t contain beardruff and is entirely itch-free. Also, it conditions and nourishes your facial hair, while repairing split ends at the same time. The tin of 2 ounces, in which this facial hair balm is stored, is 100% recyclable and doesn’t leak. 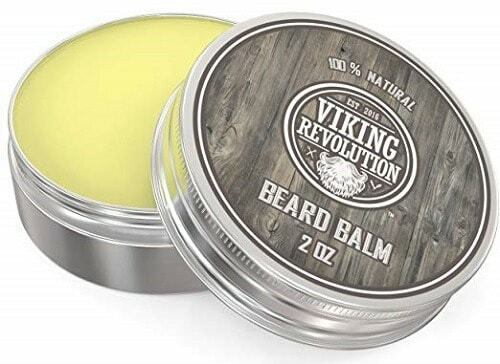 Just a pea size amount of the Viking Revolution Beard Balm massaged into the roots of your beard and face skin are enough to eliminate beardruff and itchy facial hair. Only premium natural ingredients are the part of the blend. They include the highest quality argan, jojoba oil, mango butter and beeswax. The light, pleasing, but not overpowering mango smell will be there when applying the product but will dissipate after only a few minutes. This makes it ideal for men sensitive to fragrances. Greasy, Vaseline-like residue that most other balms leave don’t happen with this product as long as you use the appropriate amount. Remember that a little goes a long way, so use it sparingly. Scrape the small amount with your fingernail and then spread it across the beard. The consistency of the balm is uniform and it melts extremely easy. Additionally, the tin is wide and shallow, allowing you to get its content with ease. 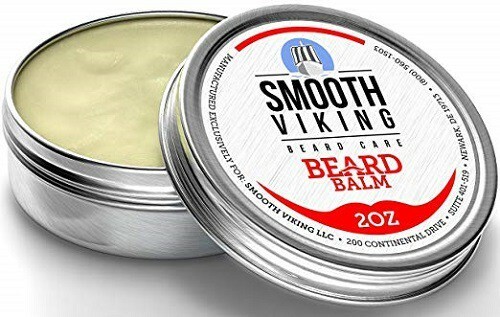 Lightweight formula of the Smooth Viking Beard Balm can tame even the wildest beards thanks to its superior hold and shaping powers. On the list of ingredients, there are premium oils such as avocado oil, sweet almond oil, jojoba oil, argan oil, sunflower oil and pumpkin seed oil, along with the shea butter. All these ingredients provide a light and pure scent and work together in making your facial hair look and feel thicker and soft to the touch. They also encourage healthy beard growth by keeping it moisturized. Only a small amount of this balm is enough and can go a long way. Although this product is primarily meant to be used on a beard, you can also apply it on your mustache to tame them too. The formula is lightweight, but you may notice a bit of a greasy residue after the application. 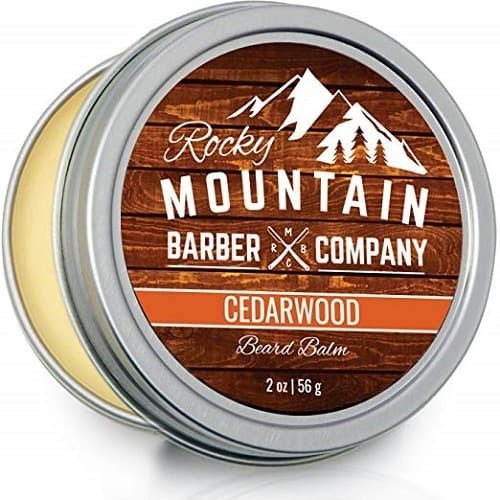 Featuring over eight all-natural, premium essential oils, as well as beeswax and shea butter, the Rocky Mountain Cedarwood Beard Balm is stored in an aluminum tin that fits everywhere. The tin is designed to be ultra slim and with a screw-top lid. This means you can put it anywhere without having to worry that it will accidentally open or get damaged. 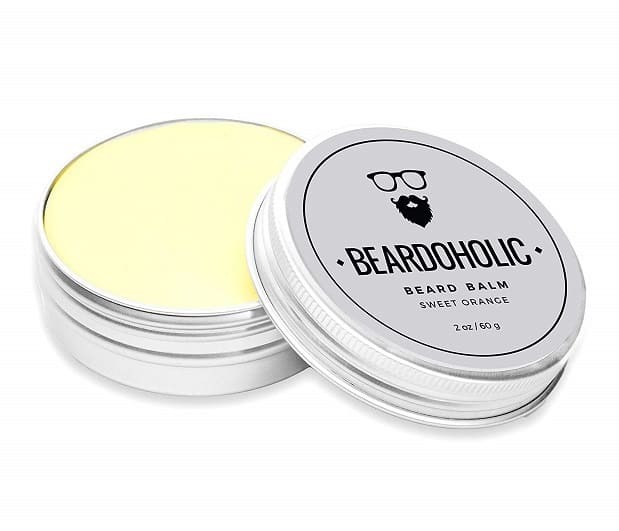 What you get with this balm is a shaped beard, entirely under your control. The great thing is that you won’t experience the weigh down feeling at all. Also, if you don’t overdo it in the application process, there won’t be any greasy or oily residue. Cedarwood and eucalyptus scents are mixed to provide you with a light, but not overpowering, masculine scent. The smell is the strongest at first but dissipates very quickly. Unfortunately, the tin is only 2 ounces, which means it won’t last you for a long time. 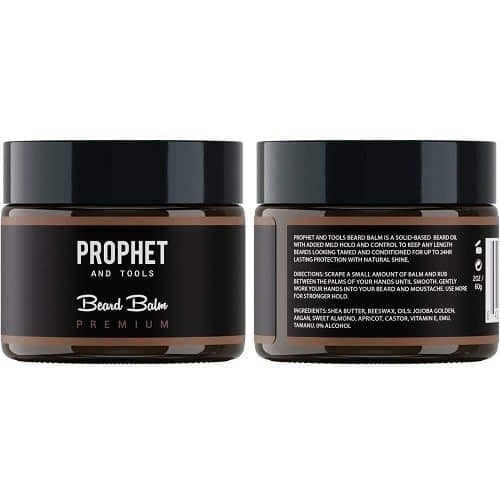 After only the first application of the Prophet and Tools Beard Balm, you will experience benefits such as a thicker and fuller looking beard with no split ends, irritations and dandruff. The balm remains in your facial hair and provides a full-coverage for up to 12 hours, so you don’t have to reapply it during the day. Usually, beard balms leave yellow stains in your beard, especially on white facial hairs. That’s not the case with this product, which is suitable for use on all beards, no matter your ethnicity. When you rub it between your fingers, it will melt exceptionally fast and turn into a crystal white color to blend into your beard color. Take a pea size, which is just about enough for the entire facial hair, and work it into the beard. In case there is an excess residue, you can apply it to your head hair. It is lightweight, quick absorbent and non-greasy, so you won’t even notice it’s there. It comes with a citrus scent, which evaporates within an hour. 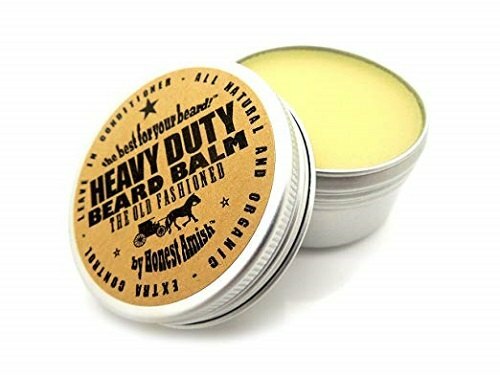 The improved formula of the Honest Amish Heavy Duty Beard Balm represents the blend of the finest quality organic oils and butters that work in softening and taming your unruly beard. Heavy duty means more control and softening, and also a thicker consistency. This product is more like a leave-in conditioner than wax and it will help you tame and shape your beard. However, if you are looking for the balm that gives the true hold, seek out for another product with a waxier consistency. Think of this product in terms of a conditioning type of balm rather than a firm-hold gel. Don’t over apply it, otherwise, your facial hair will look greasy. A small amount though will soak up pretty quickly and you won’t even notice it’s there. Thicker and softer beard with no itchiness and flakes is what you get with this item. The citrus scent with a spicy under-note is pure, light, crisp and fades away fairly quickly. Maybe 2 oz of a tin seem a little, but with everyday use, it will last you for over a month. So, what are you waiting for? With the proper knowledge and a small amount of effort, beard balms can become an easy addition to your grooming routine and take your beard game to a new level. Photos from: mimagephotos / depositphotos.com, viperagp / depositphotos.com, svehlik / depositphotos.com. Thank you for recommendations. Keep up doing great work! I have purchased your beard oil a week ago and it’s amazing. Do you have maybe your own beard balm? I’m using Wild Willie’s Beard Butter for a couple of months now. No complains, great products that does it job. First bought 0.5 oz but I spend it really quick, so I moved to 2 oz to have less worryies. I use beard balm and beard oil, and combined they make a great duo/combo. They both rejuvenate and freshen up your beard in many different ways. Love the post man.